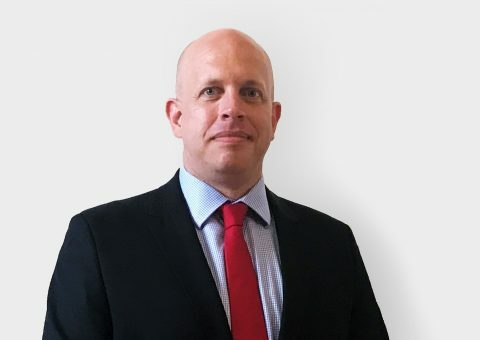 HKA, the world’s leading construction expert witness firm, appoints Jonathan Humphrey as Partner to expand its forensic accounting and commercial damages service offering throughout Europe, the Middle East, Asia and Australia. HKA currently provides forensic accounting and commercial damages services in the Americas and is now looking to develop the service further in new geographies to address the challenges clients face now and in the future. Based in Sydney, Jonathan will divide his time between Europe, the Middle East, Asia and Australia. Jonathan has over 20 years of experience advising clients as an accounting and finance expert on complex contentious matters across a broad range of sectors and assists in an advisory role. His sector expertise includes construction, financial services, manufacturing, IT and telecoms, oil and gas and power, and is complemented further with an established international background having worked on matters in the United Kingdom, Europe, Africa, Middle East, Asia, Australia and New Zealand. He is instructed on matters requiring the quantification of lost profits arising from breach of contracts and warranties, valuations resulting from expropriation and shareholder disputes, and quantification of damages in respect of class actions, professional negligence, insurance claims and post-acquisition disputes. Jonathan is appointed regularly as an expert in contentious matters and has experience providing oral evidence in commercial and investment treaty cases. He has worked in multiple forums, including international arbitration under ICC, UNCITRAL, LCIA, SIAC, DIAC and HKIAC rules, court litigation and mediation. He is recognised annually by Who’s Who Legal as a leading economic consulting (damages) expert, a leading arbitration expert witness and a leading construction (quantum and delay) expert. He holds a BSc (Hons) in Economics from the University of Bristol, UK and is a Fellow of the Institute of Chartered Accountants of England and Wales. Prior to joining HKA, Jonathan spent six years at Berkeley Research Group (BRG) as Head of Disputes and International Arbitration in Australia and Southeast Asia. Previous to BRG, Jonathan spent seven years as Director at Navigant in Europe and, before this, was with PwC in the UK for nine years. HKA is one of the world’s leading providers of consulting, expert and advisory services for the construction, manufacturing, process and technology industries. We anticipate, investigate and resolve project challenges. HKA understands the pressures associated with delivering successful projects, whatever their size and complexity, wherever in the world. As trusted independent advisers, consultants and experts, HKA finds solutions amid uncertainty, dispute and overrun, and provides the insight that makes the best possible outcomes a reality for public and private sector clients worldwide. HKA has over 960 professionals in more than 40 offices in 21 countries worldwide. "I am delighted to join an independent leading expert witness firm, building on its leading position in the construction sector by expanding HKA’s service offering into new markets."